A gearbox converts the rotational energy of the engine to a rotational speed appropriate for the wheels. The purpose of a gearbox is to reduce the amount of revolutions per minute and to increase the output of torque. 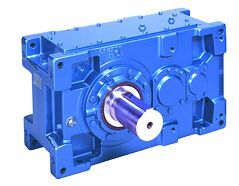 Most modern gearboxes are used to increase torque while reducing the speed of a prime mover output shaft. Gearboxes are used to alter the speed of a motor and may be used for low-speed or high-speed applications.